Now that I had the cookies prepared, I thought it would be fitting to use 100% heavy cream for the liquid portion of a cookies and cream soap. I was not prepared for how thick the lye solution got though. Normally I strain my milky lye solution, but this was so thick there was no way it would have gone through the strainer. As I was contemplating whether to chuck the cream/lye solution and start over, my daughter (10 years old) piped up from across the room and said, 'Well mom, you never know unless you try!' (Apparently I was contemplating out loud!) So, knowing she was right, I went ahead and cautiously stirred the creamy lye solution into my prepared oils. To my surprise, the soap batter came together just fine. I really kept expecting weird lumps or orange spots or something odd to happen, but it behaved very nicely. When I tried to unmold the bars this morning, they were still quite soft and stuck to the mold. I did use sodium lactate, but I assume the high fat content of the cream makes the bars quite a bit softer to start out...I'm hoping it makes for a nice, rich lather though! As always, thank you for reading everyone! Cutesie, I love the little cookies! 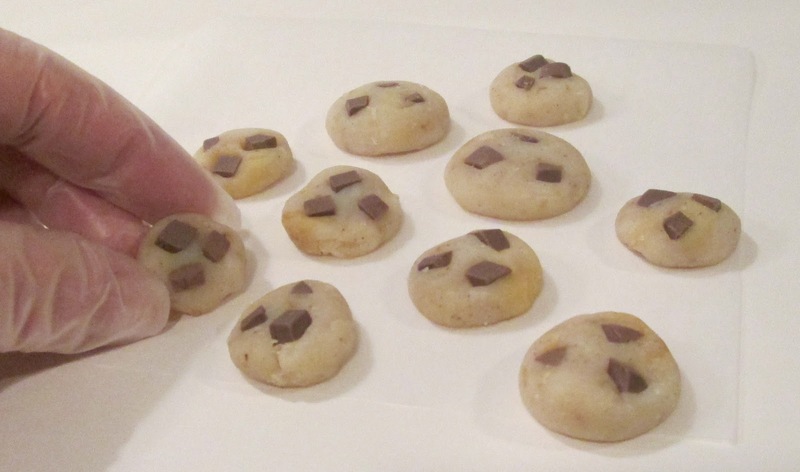 Awww... Those small milk bottles are so sweet <3 And the cookies look good enough to eat. You should show us how the soap looks like when it has darkened. So cute! 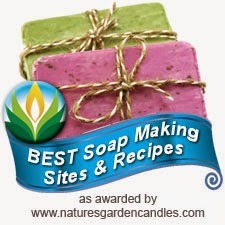 You must put a lot of prep time into making each batch of soap. They are all so unique! Thank you Sarah :) I do tend to spend a lot of prep time, now that you mention it! I don't think I could make the same soap twice if I tried...lol! You are so brave to continue on with that thick lye solution. I am happy it turned out so pretty and cute. 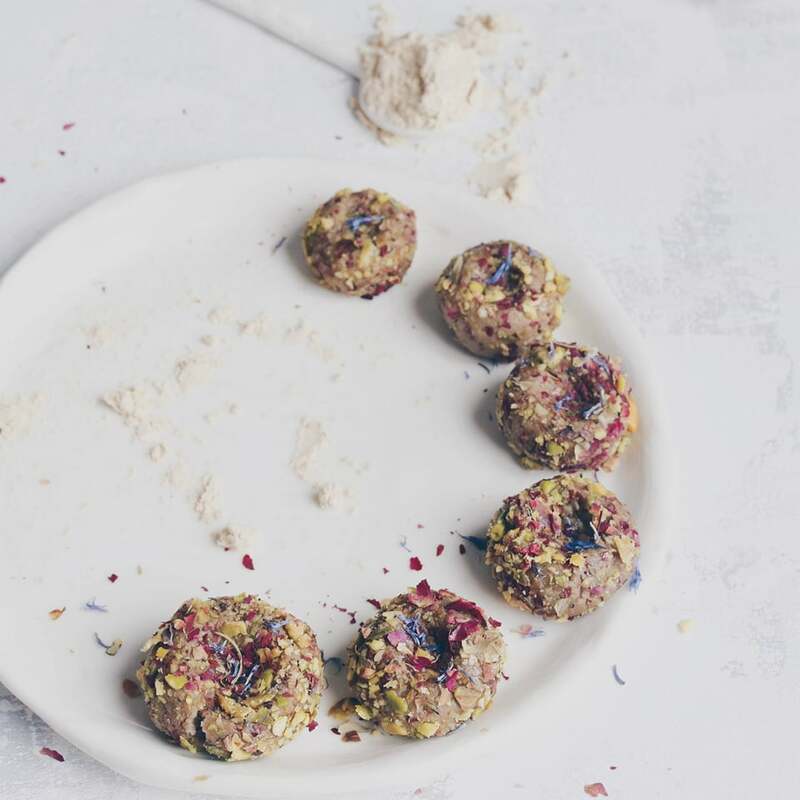 Hi Jen, I'm thinking that 100% cream might be too rich, but at least I can say I tried it! I probably should have cut down on my superfat % too, but I didn't think about that until after. I'll see what it's like in a few weeks and try to remember to update. I think next time, I will use part cream and part water, just to see the difference. Really grate, the soap design is so special and unique! How cute they are! And they will look more edible when the orange turns to brown. Keep your kids away! Remember my 'Chsmomile fields'? My lye/cream solution was thick,but I guessed it was supposed to be like that and didn't think of throwin it away. Though,when you say you did, it makes me wonder that yours might have been thicker. My was 30% m.f. Speaking of density, soy milk got thicker to me than cream. Is it weird? The soap is fantastic to use. Just go ahead,I don't think you will find it too creamy. It's perfect for me! Oh sorry,it was 'Sunset of the Valley' soap with 100% heavy cream, not the 'Chamomile fields'! Brrggggghhh, silly me,I got confused by my own soaps! 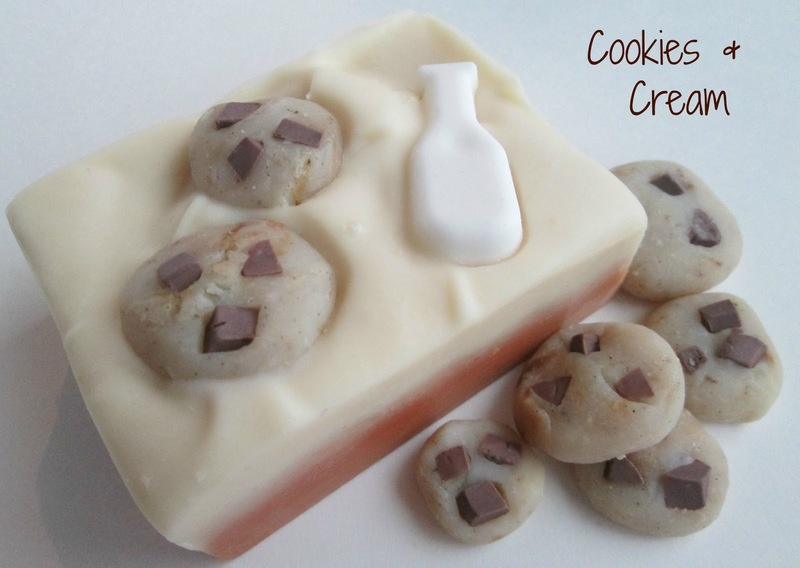 Wow this Cookie Soap looks great!!!! What a cute idea! You're so creative Cee! super adorable...love the little cookies, they look so real! Super cute, Cee Gee! I am always amazed by your creativity and patience. The cookies look edible and the little milk bottle is adorable. 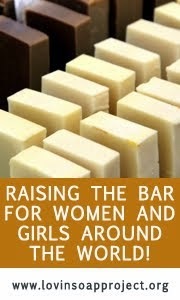 When I made my first soap using 100% goat's milk, my lye solution got really thick, like pudding. It freaked me out, too, but I continued on and the batter came together like normal once I started stickblending. I guess the fats in the milk had started to saponify. The soap was fine, though. I'll bet all of that cream in yours will feel awesome on the skin! Hi Jenny, thanks so much for sharing that. It is amazing how the different milks react with the lye! This was almost like a really thick oatmeal...I really didn't think it would break down and blend together with the oils! Do you strain your milk/lye solutions? I do, but I'm wondering if it's an unnecessary step, now that this one came out fine without straining? They are so cute and so real! Your are so talented, Cee! Love love love this!!! 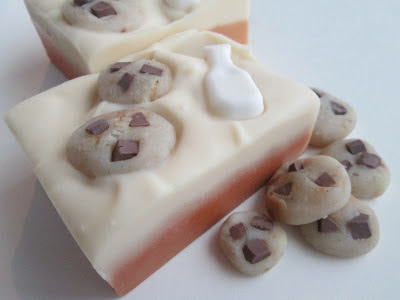 OMG you are so amazing, how do you come up with all these creative soaps? This is so adorable and I agree with Shieh Design, you're going to have to put up a huge sign to make sure people don't try & take a bite. If you are looking for a reputable contextual advertising network, I recommend you take a look at PropellerAds.